Buying Bordeaux wine and more for your home cellar. You’ve been bitten by the wine bug and you want to start putting together a wine cellar. What do you do first? Prices are rapidly increasing and you want to get in on the ground floor. Do you instantly rush out putting your credit card to use, valiantly hoping to fill your empty cellar as fast as possible? No! Why not? That is the single most important question new collector’s should ask. It is easy to go into a store and buy endless amounts of wine. But that is the worst move a novice collector could make. The best thing anyone new to wine can do is become an educated consumer. It is imperative in your informative years to taste as many different wines as possible. It does you no good to have a cellar filled with famous names and high scoring you don’t like. High scoring wines denote quality. But that has nothing to do with personal taste. While you will probably enjoy highly rated wines the majority of the time, big scores are not a guarantee that wine is produced in a style you are going to like. There are thousands of great wines produced in a myriad of styles and the only way anyone can decide what they like is by tasting as many different wines as possible. It’s easy for new and seasoned collectors alike to taste a wide variety of wines and styles. Merchants often hold tastings. 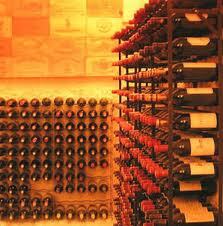 There are classes held by wine stores, auction houses, colleges, restaurants and even private people host them. You can join or form a group. It is easy to meet fellow wine lovers. Ask your local merchant to introduce you to collectors. Or, join a website devoted to wine and meet other devoted wine fans that live near you. The most popular, active wine website in the world is hosted by the world renown, wine writer and critic, Robert Parker. http://dat.erobertparker.com/bboard/Regardless of how you decide on where to taste wines, before starting a collection, you need to learn what you like. You could very well enjoy wines recommended by friends, critics or wine writers. But you might also discover those wines are not for you. Your palate might prefer different styles of wine. Wine, like life, is all a matter of personal taste.